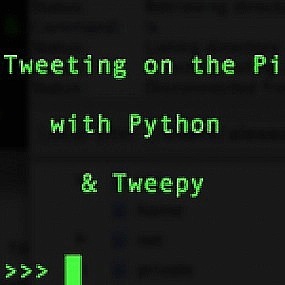 Tweeting with Python tweepy on the Raspberry Pi #piday #raspberrypi @Raspberry_Pi « Adafruit Industries – Makers, hackers, artists, designers and engineers! A lot of our code from last time can be re-used. But if you’ve created a new app, or changed the permissions on an old one, you might have to create new ‘Access tokens’…. Read the complete tutorial over are RasPi.TV….